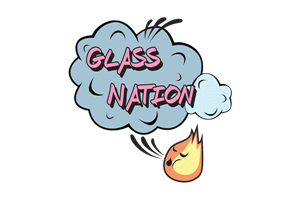 Glass Nation has the best 24k gold rolling papers online. We know that sometimes a special occasion calls for a special kind of rolling paper. Furthermore, if you just want to burn some money because you are hella ballin’ than smoking rolling papers made of 24k gold, or rolling papers made of 24k silver are the way to go. There are rolling papers that look like real hundred dollar bills however they aren’t real dollar bills and as a result they aren’t really valuable. Smoking real currency is probably terrible for you due to the inks and plastics inside. Gold & silver however have been used in teeth fillings and other medical applications. Furthermore, they have been doing this for a long time due to their non-reactive properties. Don’t settle for anything but the best. Life is short and you deserve only the best in life.